Herat - Too poor to even buy pens and notebooks for school, Mehdi left his home in Afghanistan soon after his 17th birthday and headed to Iran, hoping to make his way to Europe and find work. Instead, Mehdi ended up fighting in Syria's civil war, a conflict he had nothing to do with, 2,000 kilometers from home. He was one of tens of thousands of Afghans recruited, paid and trained by Iran to fight in support of Tehran's ally, Syrian President Bashar Assad. There, he found himself thrown into one of the war's bloodiest front lines, surrounded by the bodies of his comrades, under fire from Daesh so close he could hear their shouts of "Allahu akbar" ("God is greatest") before each mortar blast. Iran ran an extensive drive to bring Shiites from across the region and create a network of militias to help save Assad from the uprising against his rule - not only Afghans but also Pakistanis, Iraqis and Lebanese. Now with the 8-year war in Syria winding down, the question is what will Tehran do with those well-trained, well-armed forces. "Here in Afghanistan we are afraid. 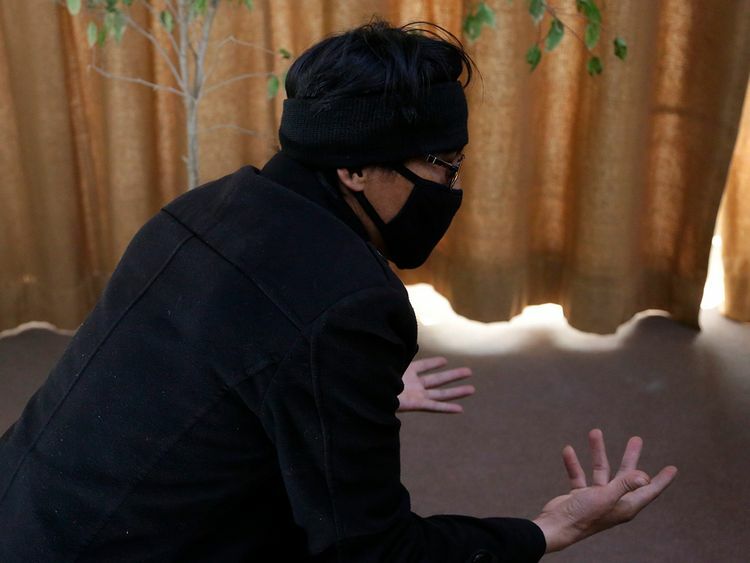 They say we are all terrorists," said Mehdi, now 21 and back in his home city of Herat. He spoke on condition he not be fully identified for fear of retaliation. He wouldn't meet The Associated Press at home or in public - only in a car parked in a remote, mostly Shiite neighborhood. Even there, Mehdi kept his face obscured with a scarf, glancing suspiciously at every passing car. Afghan veterans returning from Syria are threatened from multiple sides. They face arrest by security agencies that view them as traitors. And they face violence from the brutal Daesh affiliate in Afghanistan, which views Shiites as heretics and vows to kill them. Last May, Daesh gunmen burst into Herat's Jawadia Shiite mosque, opening fire and setting off their suicide belt explosives among worshippers, killing 38 people. Over the years, tens of thousands of Afghans likely trained and fought in it. 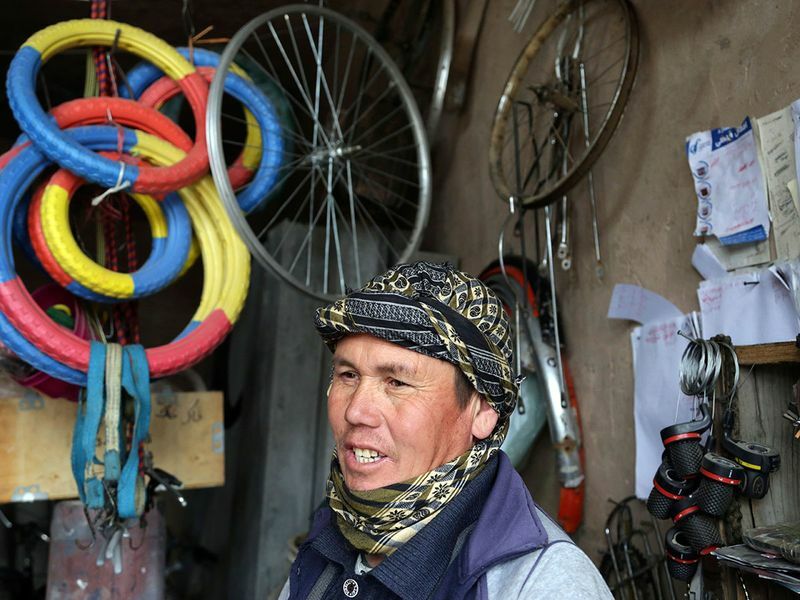 Most of them are from Afghanistan's ethnic Hazara minority, who are among the country's poorest. Roughly 10,000 veterans of the brigade have returned to Afghanistan, says a senior official in Afghanistan's Interior Ministry who is familiar with government intelligence. The official was not authorized to brief reporters and so spoke on condition of anonymity. Expect the Iranians to reconstitute their militias inside Afghanistan at some point, Iran does not discard assets in which it invests time, treasure and expertise. If Afghanistan is plunged into more unrest, "the Iranians would have a strong motivation to help a Shia force that would face intensified threats from the Taliban and especially Daesh," he said, using an alternate abbreviation for the Daesh group. Iran is already supporting Syria war veterans living in Kabul and in central Afghanistan's Hazara-dominated region of Bamiyan, said the Interior Ministry official. He said Afghan intelligence agencies have identified senior Iranian government officials who are "managing the activities" of returning fighters, including providing them arms and money and building a structure for quick re-mobilization if needed. Afghan warlord Abdul Gani Alipur, an ethnic Hazara, is also implicated in aiding Iran, he said. Alipur was arrested late last year on charges of having an illegal militia, but he was released after thousands of Hazaras protested. "I thought about it and I made my heart strong, like a raging river," Mehdi said. "I decided, 'Live or die, I'll go.'" They reported to a recruitment center in Tehran. There, officials gathered his personal details - the names of his parents and relatives and the street where he lived in Herat. "I understood they wanted all that information if I died," he said. He and other Afghan recruits were flown the next day to Iran's southern Yazd province, where they underwent 27 days of training under the Revolutionary Guard. Mehdi's marksmanship impressed the trainers, and he was made a sniper. When it was over, Mehdi was flown to Damascus with around 1,600 other new recruits. There, Mehdi was thrown into one of the fiercest battles of the war - a campaign that began in the spring of 2016 against Islamic militant factions, including the Al Qaida-linked Nusra Front, over the town of Khan Toman and nearby villages on Aleppo's edge. It was a fight that showed the international nature of the war. Among the militants were Syrians, Iraqis, Chechens, Turkmens, Uzbeks and other foreign jihadis" on the other side were Syrian government troops, Iranian soldiers, Lebanese Hezbollah fighters, Iraqi Shiites and Afghans, backed by Russian warplanes - all battling for a piece of Syrian land.